Fall and apples go hand in hand. When I think of the flavors of fall I will always equate apples with September. Caramel apples are a great way to enjoy a tart apple without puckering up! 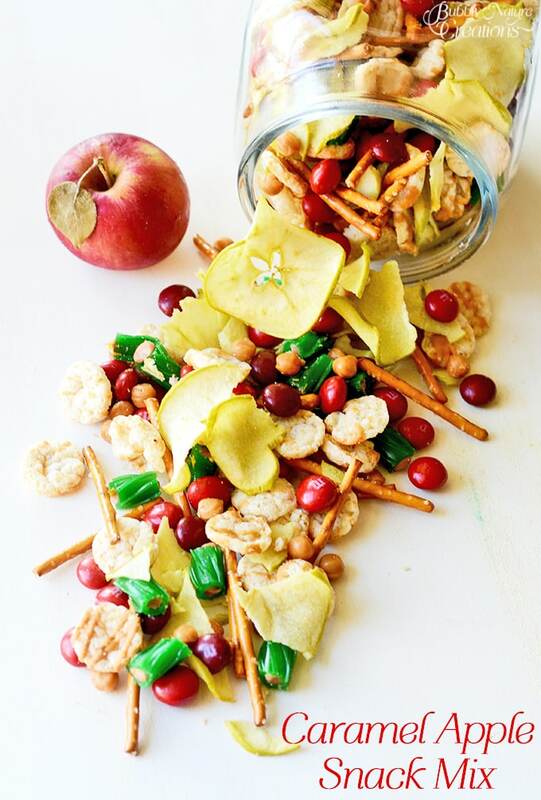 This Caramel Apple Snack Mix is salty, sweet and tart! It’s perfect for a lunchbox or in a bowl for snacks. 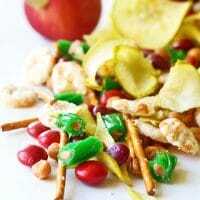 I liked having the Green Apple Twizzlers in there to give it some chew and the salty pretzels for a nice crunch! I love that candy makers come out with such fun flavors for the fall! You can use the candies I suggested or a mix of your own. Just be sure to get a good brand of apple chips. 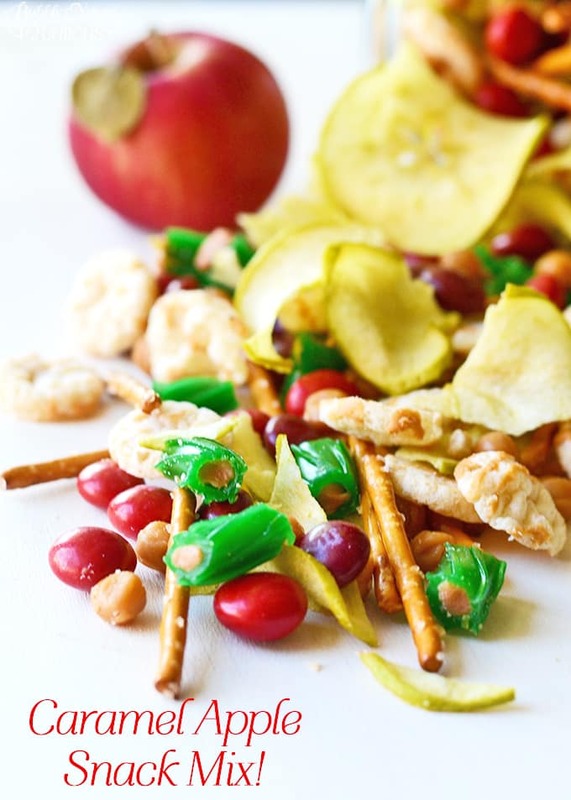 I used Seneca Apple chips and it tastes amazing! I love this snack mix!!! Just combine ingredients according to how you like them... want more chocolate use more etc. Enjoy! Previous Post: « 5 Tips for Smooth Legs All Year Long!